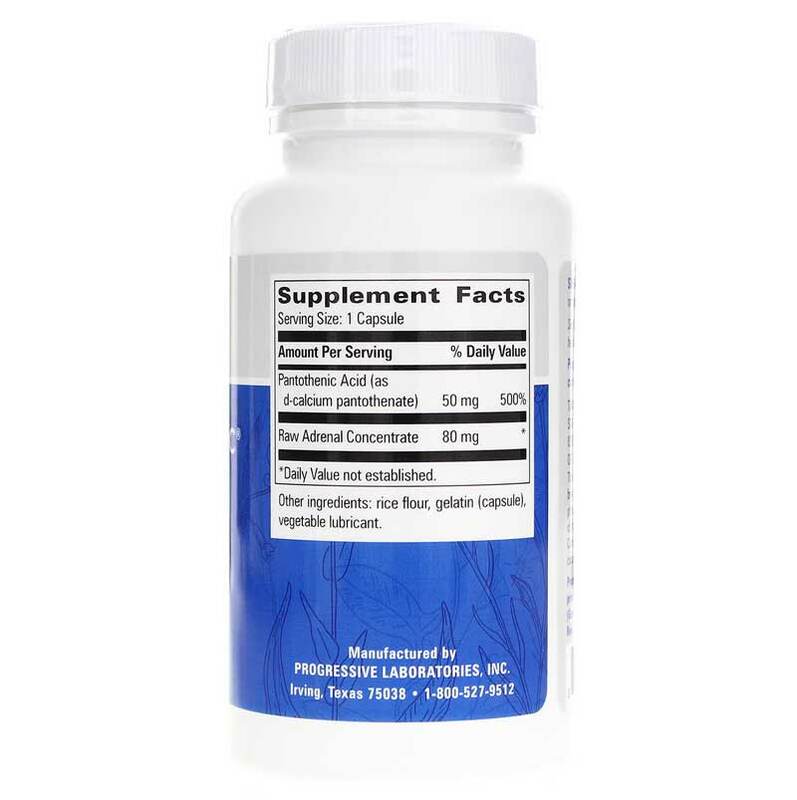 Progressive Labs Adreno Trophic contains raw adrenal concentrate along with pantothenic acid to support, nourish, and balance the adrenal glands. 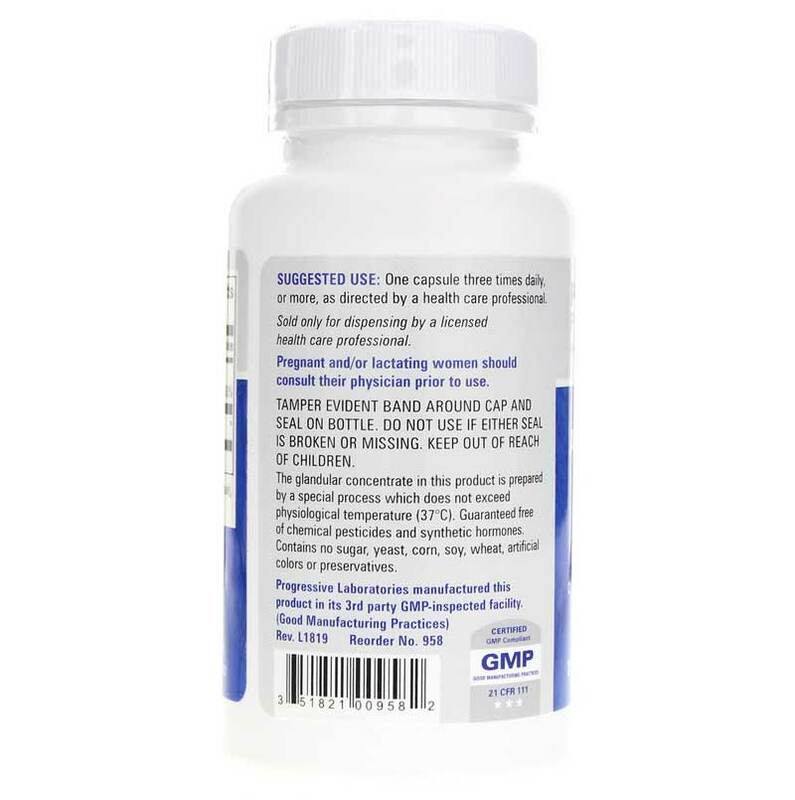 Adreno Trophic supports glands that may have become exhausted due to chronic stress. An essential nutrient, pantothenic acid is needed to synthesize coenzyme-A, an important molecule in metabolism, as well as to synthesize and metabolize proteins, carbohydrates, and fats. Keep your adrenals healthy and working correctly. 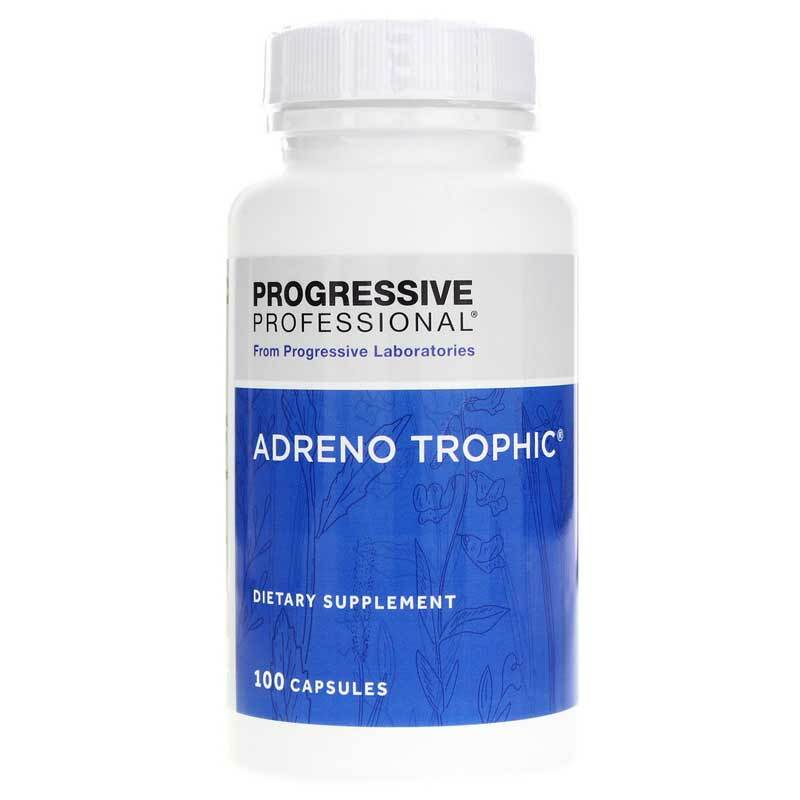 Give Adreno Trophic from Progressive Labs a try today. Order now! Other Ingredients: rice flour, gelatin (capsule), vegetable lubricant. Contains NO: chemical pesticides and synthetic hormones, sugar, yeast, corn, soy, wheat, artificial colors or preservatives. Adults: One capsule three times daily, or more, as directed by a doctor.